I’ve been meaning to write a review of the Snuzpod for…six months now. 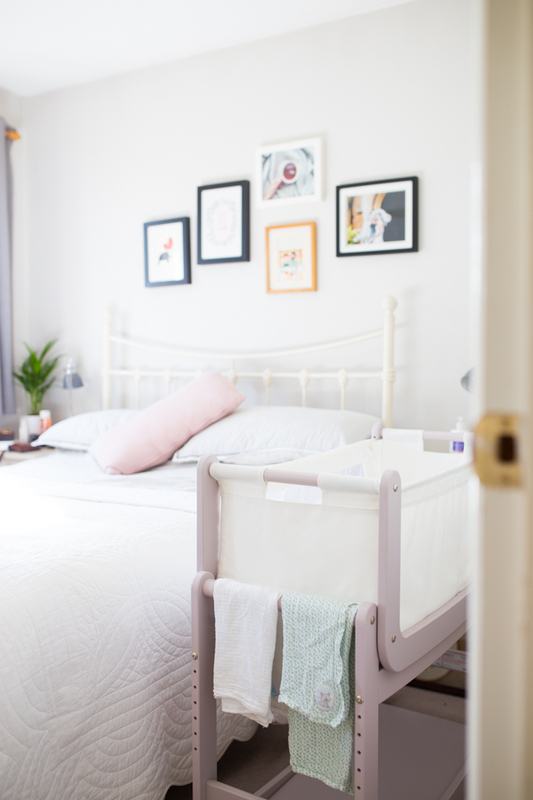 BUT, the timing of this post is really quite apt, because after half a year of daily use we’ve just stopped putting Ottilie down to bed in our room at night in the Snuzpod, and so these photos kind of mark the end of an era! To put it simply, the Snuzpod has been one of our absolute hero products since having Ottilie. 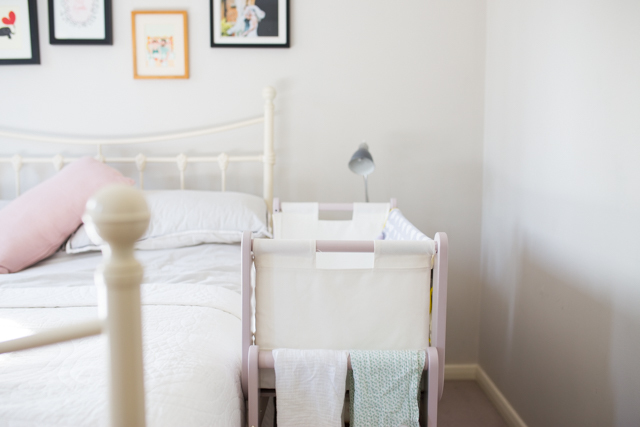 It’s a 3-in-1 system, acting as a co-sleeper (with a genius drop down side that allows you to have baby at arm’s reach with the cot right up alongside your bed), a freestanding cot, and with a lift-off bassinet for transportable napping! I loved how having Ottilie sleep in the Snuzpod meant that I would wake as soon as she began to stir, and I’d be then able to either whip her straight out and feed her, or resettle her with some shushing (the former happened waaaaay more than the latter!!) before she fully woke and cried. And being able to stay cosy and warm underneath my duvet during all those hours sat up in bed feeding made being awake at 2am (and 3.30am, and 5am…) so much more bearable! Being so close to Ottilie also helped ease my new Mama anxiety! I LOVED being so close to hear that I could hear her gentle breathing, and reach over and check she wasn’t too warm or cold and adjust any blankets if necessary with ease. I’ve also been so pleased with what a beautiful addition the Snuzpod makes as part of our bedroom- it’s minimal and sleek but also so classic in its design, and the colour choices are fab too. 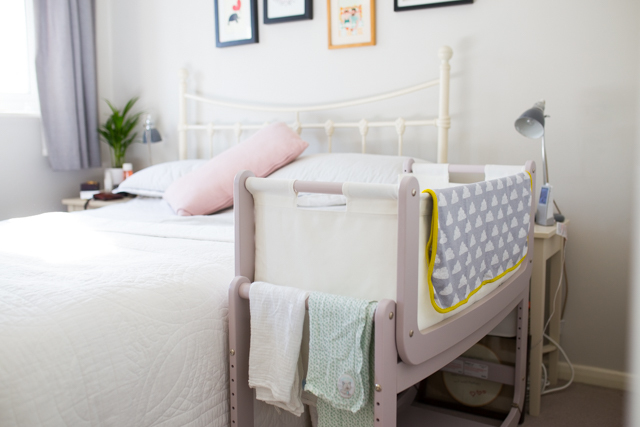 There’s space underneath to store extra blankets and bedding, and the rails on the end are great for keeping a muslin or two within easy reach for clearing up any post-feed sick! I was always so dreadful though at having a muslin to hand right when I needed it, and still feel like I’m not a ‘real’ Mum because I never wandered around with one flung over my shoulder!! 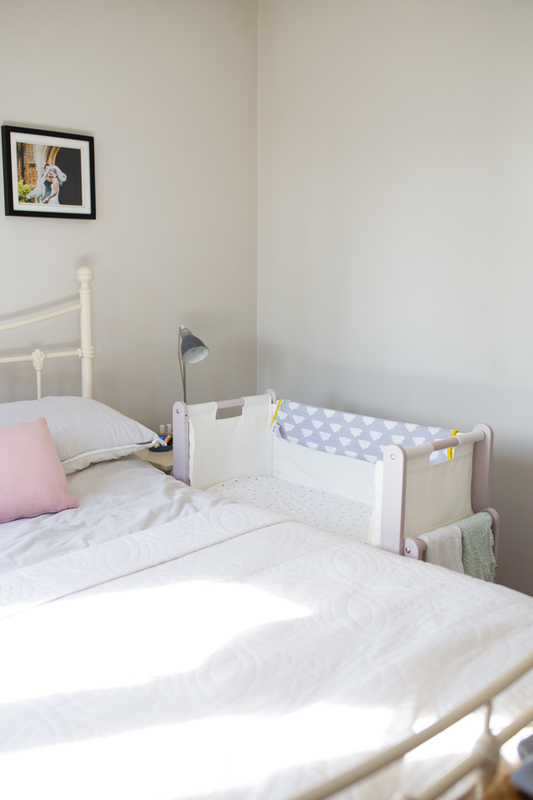 Oh, and I should say too that we used the Snuzpod in conjunction with that other holy grail of baby sleep products, the Sleepyhead! I’d have taken photos of them together, but Ottilie was napping inside the Sleepyhead in her cot in the nursery whilst I shot these photos! 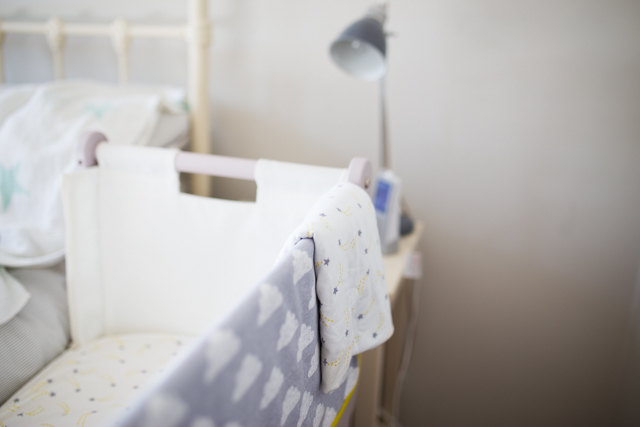 The Snuzpod was kindly gifted to us as a press sample (I wasn’t under any obligation to review it, but have done because, as I said, it’s been one of our favourite baby products! ), and is available to buy from John Lewis.